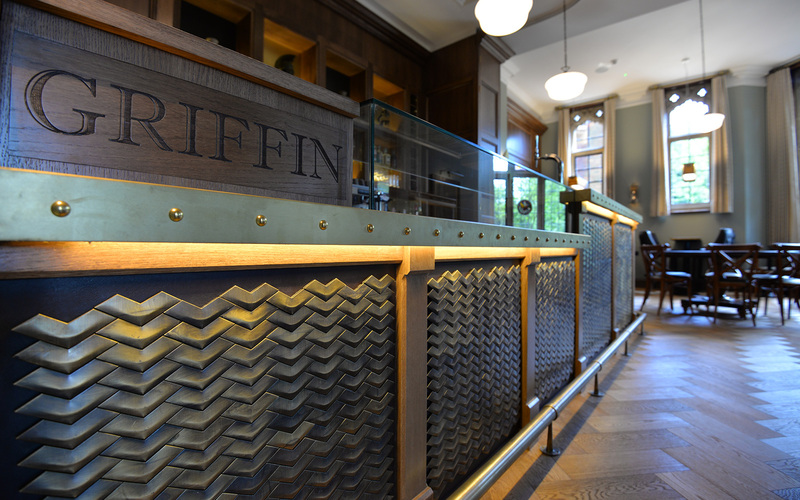 We are thrilled to share images of our recently completed project the Griffin Bar at Homerton College, Cambridge. 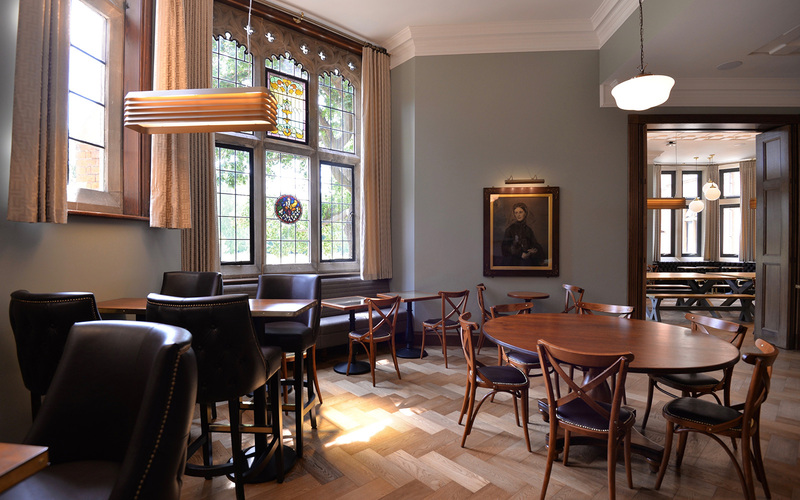 Our first project for Homerton College, we are also progressing a new brand identity for the college, post its 250 year anniversary. 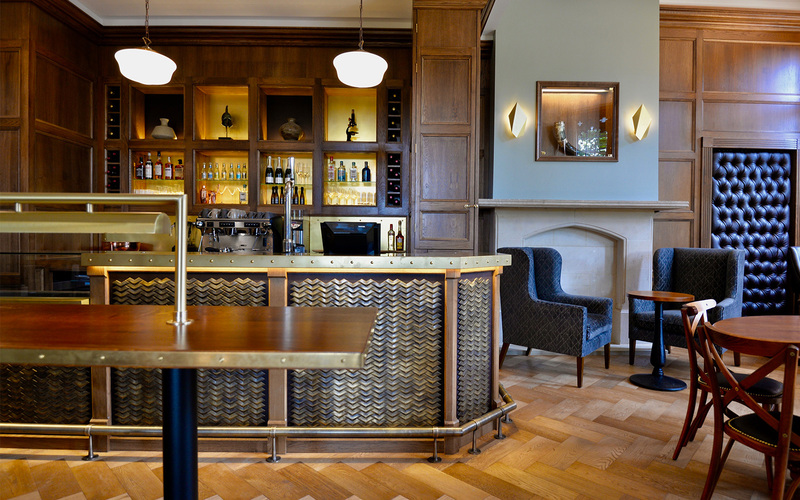 LOCI were engaged to re-design the Cavendish Bar & Foyer at Homerton College to create different spaces for changing audiences. 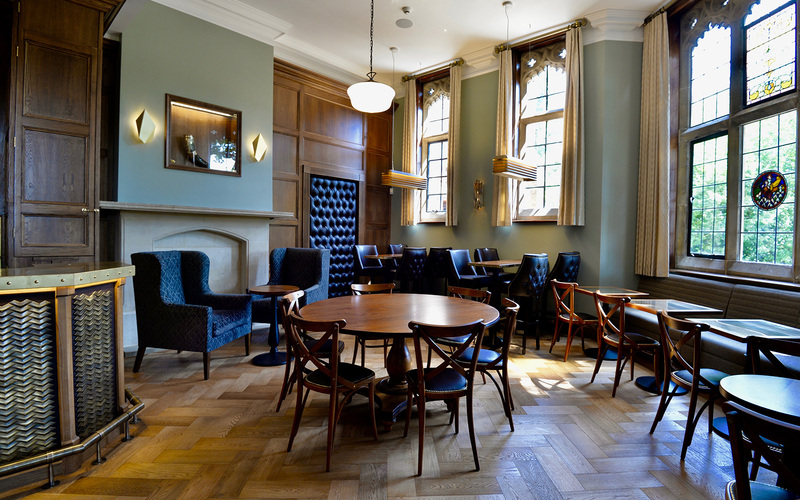 A flexible multi use area for students, being both a sophisticated and comfortable bar, and for study and social use during term. 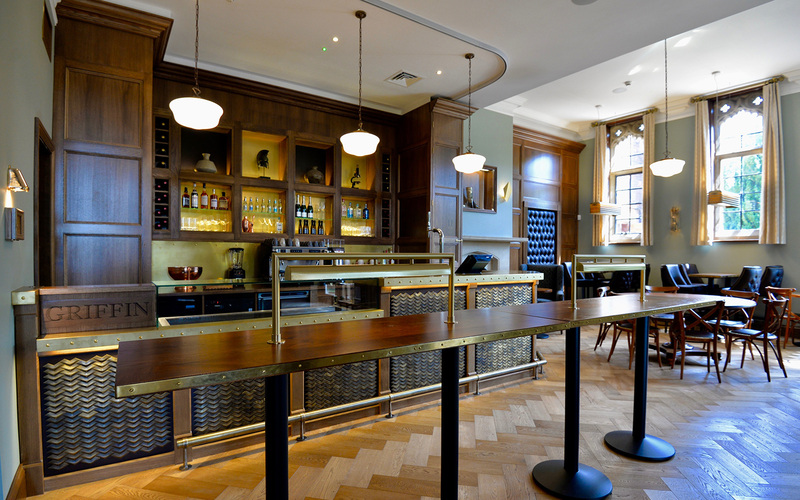 Out of term the space functions as the bar for drinks receptions for guests attending conferences and private dining or musical events. 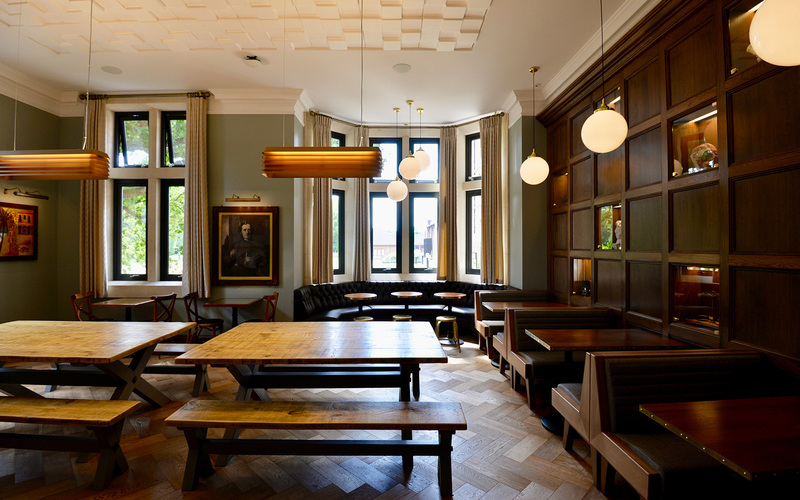 Introducing an elegant scheme, referencing Homerton’s heritage and its progressive future, artwork and curios were selected from across the Homerton archive and complemented by new pieces sourced by Loci; the panelled walls features illuminated windows on a collectors world. 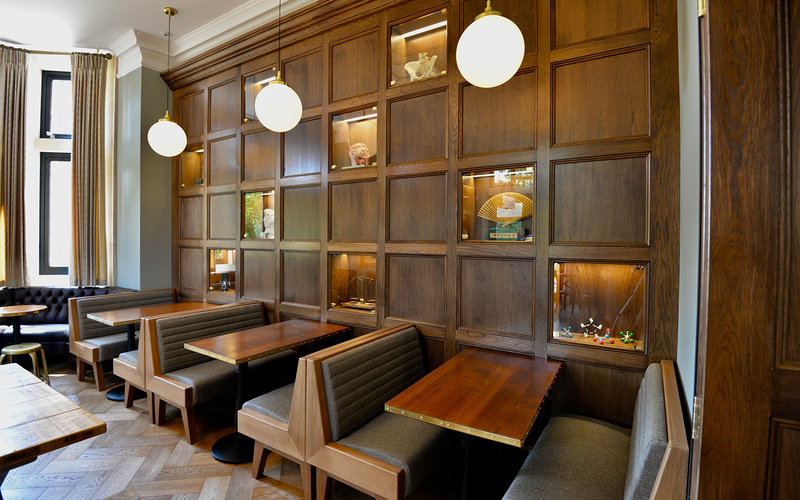 The bar is clad in funky, tactile antipodean tiles reminiscent of the griffin’s scales. 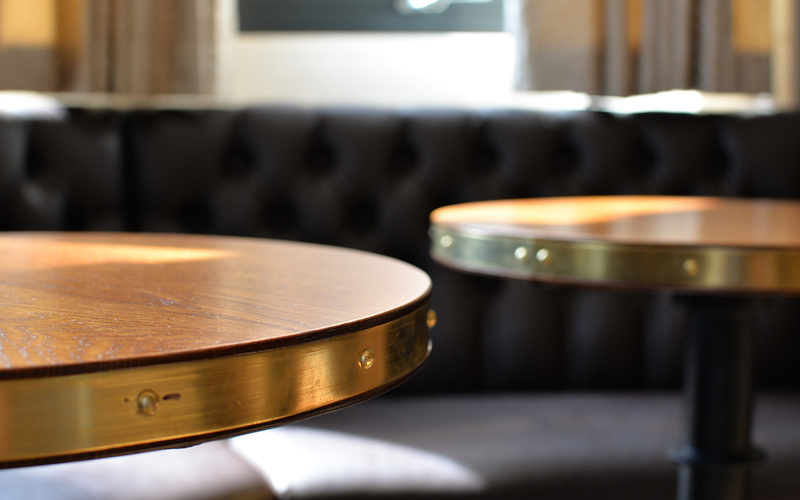 Other great design features include high ceilings with acoustic panels, a bespoke brass topped bar and cool brass edged wooden tables throughout. 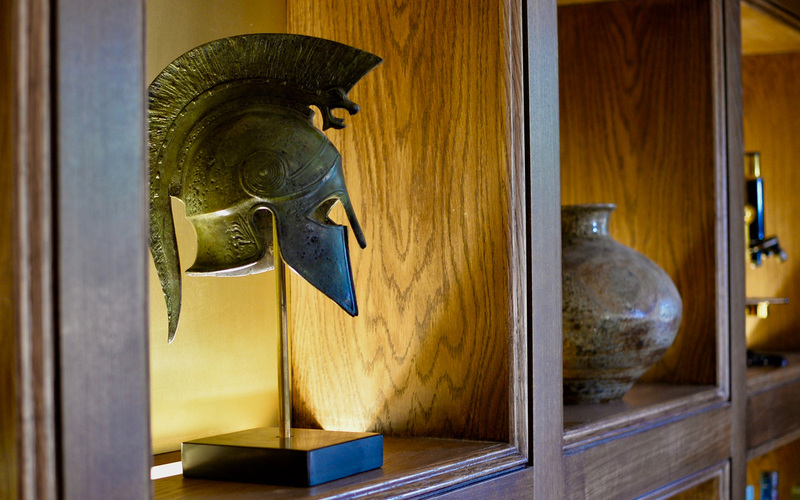 Ambient lighting supports the changing moods created by the varying uses. The design incorporates integrated music, speakers and USB. Subtle storage options, allow for the adaptable nature of the rooms. 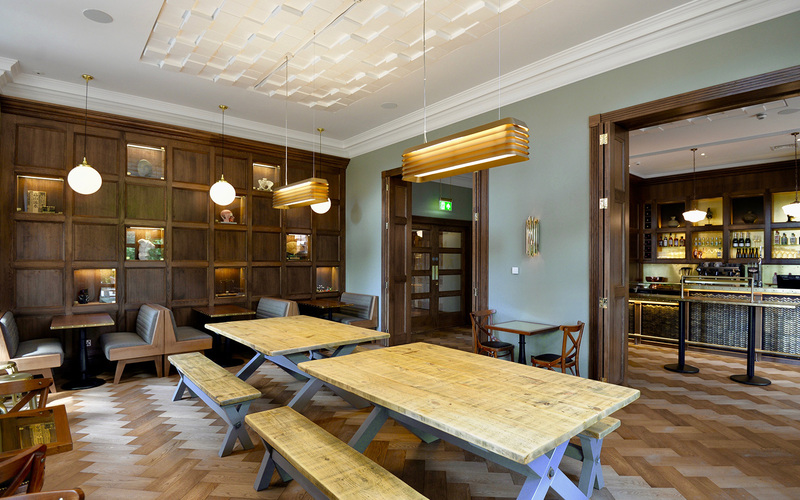 Loci also created the new cohesive Homerton College Interior Identity – an elegant, integrated and succinct House Style incorporating a stylized griffin emblem.